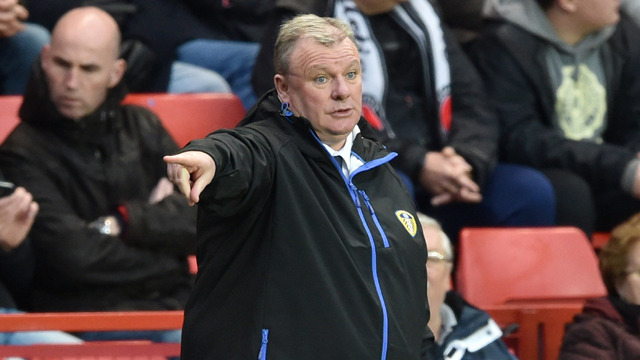 Steve Evans has confirmed that the club have rejected two overseas bids for defender Giuseppe Bellusci, while also maintaining the stance that young midfielder Lewis Cook will not be sold in the January transfer window. Speaking at his pre-match press conference ahead of Saturday’s Emirates FA Cup tie with former side Rotherham United, the Leeds head coach also revealed that Norwich City’s preference of offloading striker Kyle Lafferty on a permanent basis is currently standing in the way of bringing the Northern Ireland international to Elland Road on loan for the remainder of the season. And despite recent media speculation, Evans also admitted that loan moves for Stoke City striker Peter Crouch and Aston Villa midfielder Jack Grealish are unlikely with the pair said to be unavailable to leave their respective clubs. “I don’t get involved in the values but I know the football club did turn down two offers from overseas for Peppe. “He’s certainly a big part of my plans from a football perspective. “I have just put names on a sheet of paper and said to the president ‘I want these people to be here on the 1st of February’ and Peppe was on that sheet. "There's no doubt that there's very solid interest in him but I had a strategy meeting with the president yesterday and Lewis Cook is simply not going anywhere. There are no more conversations to have about Lewis Cook. "The president is in receipt of some offers and he's said to me that we only get into real discussion if he's maybe of thinking of accepting it. It was very clear that he had no interest in accepting either of them. "I think every player in the world's for sale but this isn't about putting up any player as an option. He's not going to be sold in this window." "Again, there's a lot of interest in Sam. One or two clubs have had conversations with our president but that's a long way off from being concrete enough for anything to happen." “We want it to be a loan deal with the option of a permanent. Norwich City have respectfully said that they want it to be on a permanent. We’re not going to be doing it on a permanent initially. “We want to be able, if it’s possible, to bring the player here but that’s proving very difficult. If it proves not to be the case then we’re not only thinking of Kyle Lafferty, there are other players we’re looking at. It’s not Kyle Lafferty or nobody. There are other options. “If we take another option then the Kyle Lafferty interest will suddenly drop off. “We’re very much in a position to do permanent deals, though. When it gets to the top end of the permanent deals - and it’s no secret that if we were in a position to take Kyle Lafferty it would be at the top end - the only way we would look at it is to bring the player in, see how he fits in and adapts to being here.